On the morning of 9 January 2018 Oyub Titiev, head of the Chechnya office of the Moscow-based Memorial Human Rights Centre, was detained by police near Kurchaloi, a town about 30 miles from the Chechen capital, Grozny. He was reportedly not allowed to see his lawyer for several hours. As Tanya Lokshina noted following his arrest, Titiev "took over for Memorial in Chechnya after the kidnapping and murder of his colleague, Natalia Estemirova in 2009. In recent years, he received many threats aimed at making him quit human rights work. Now, his life and safety are in jeopardy. Seven hours after his arrest, Chechnya’s interior ministry confirmed they took him into custody, allegedly on suspicion of a drug-related crime. On 11 January Titiev was remanded in custody for two months on charges of possessing drugs. That same day, police demanded that Titiev’s relatives ensured his son and brother appear at the police station. On 10 January federal human rights Ombudsperson Tatiana Moskalkova said she would look into Titiev’s case. On 11 January Mikhail Fedotov, chair of the Presidential Human Rights Council, urged the Investigative Committee to review the human rights defender's arrest. On 11 January 2018, Human Rights Watch, Amnesty International, Front Line Defenders, FIDH and the World Organisation Against Torture in the framework of the Observatory for the Protection of Human Rights Defenders, the Norwegian Helsinki Committee, and International Partnership for Human Rights issued a joint statement calling for the release of Oyub Titiev and the dropping of all charges against him. 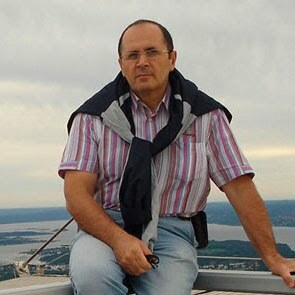 Police in Chechnya have arbitrarily arrested Oyub Titiev, head of the local office of Memorial, Russia’s leading human rights organization, on bogus drug possession charges, said today. Memorial has monitored abuses in Chechnya for more than 25 years, reporting extensively first on abuses by federal forces during the two Chechen wars, and then on violations carried out by local authorities with the Kremlin’s tacit blessing.During the past 10 years of Kadyrov’s rule in Chechnya, Memorial has published hard-hitting exposés on collective punishment practices, enforced disappearances, torture and other ill-treatment, punitive house burnings, and extrajudicial killing by local security officials. They have consistently described contemporary Chechnya as a totalitarian enclave within Russia, noting Kadyrov’s interference in virtually all aspects of social life, including politics, religion, academic discourse, and family matters. The most recent smear came in December 2017 from Magomed Daudov, speaker of Chechnya’s parliament and Kadyrov’s right hand man, after Kadyrov was included as a target for US sanctions under the US Magnitsky Act and his Instagram account was blocked.